The sequel to Me, Suzy P.
Suzy’s off camping with her family and best mate Millie – yes, you heard right – camping! As if being stuck in a caravan in rainy Wales for two whole weeks weren’t bad enough, to make matters worse, Mum’s best friend’s daughter, super-glam (and super-snooty) Isabella is coming too.When Millie starts spending all her time with Isabella, Suzy is devastated. Can her friendship with Millie survive when three is most definitely a crowd? I’m Suzy Puttock (yes, Puttock with a P), fourteen years old and a total disaster magnet. My life’s full of ups and downs. My loved-up big sister Amber’s getting married and wants lime green bridesmaids’ dresses. I’m not happy about that. But there’s this hot new guy, Zach, just started at my school. I am happy about that. 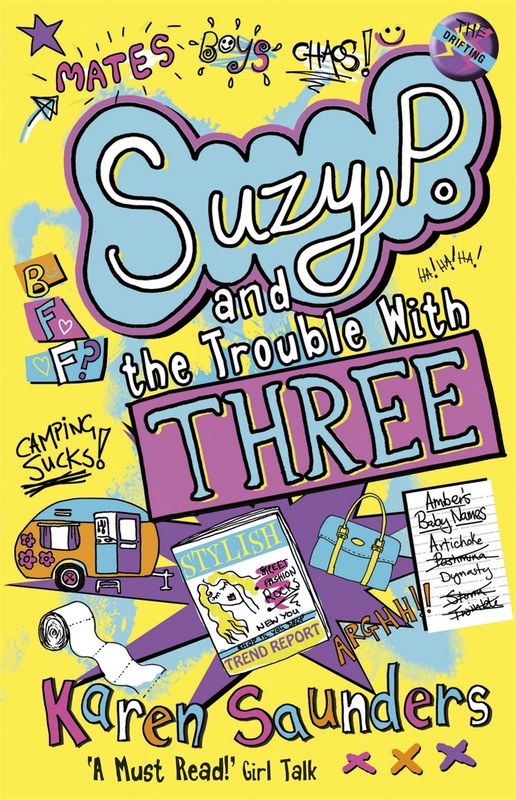 A hilarious tale of teenage Suzy Puttock trying to navigate the perils of school, families and boys. ‘A thoroughly enjoyable and fun read’ — What Should I Read Next? Thank you so much for taking the time to comment on my website! I’m so glad you enjoyed it. I’m working on a second Suzy book as we speak! I loved your book too and was wondering when book 2 will come out? Thank you! That’s so sweet of you to say, I’m so glad you enjoyed it. Thank you soooooooooooooo much I LOVE THIS BOOK! was so gutted u’v not written more! you HAVE to read this cos its like amazing! keep on writing karen! Thank you so much! That’s lovely to hear…the second one is out next year, so watch this space. it was amazing i read it in two nights cant wait till the second book comes out! Thanks so much, Hannah! I’m really pleased you enjoyed it. Omg! Im 13 and I loved this book SOSOSOSO much I am SO glad I chose this book when my dad let me pick one:) I cannot wait to read another! 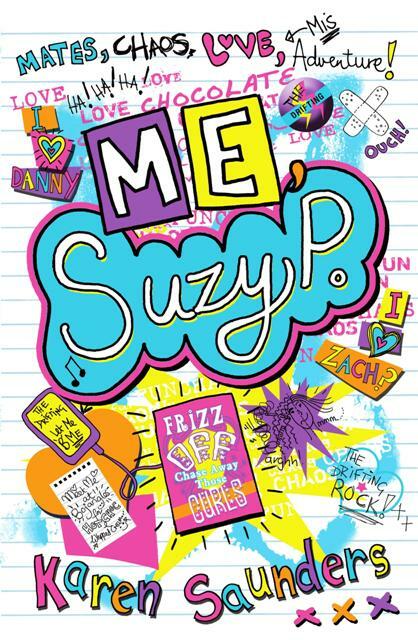 I’ve just finished reading Me,Suzy P and I’m so sad ..i love it! X well done! Thanks so much, Kira! I’m so pleased you enjoyed it. The next one should be out early next year, so keep an eye out for more Suzy fun! I love this book soooooooo much read it in 2 days can’t wait till the next one will it still have the same characters??? Hey there Karen! Just to say i have just finished reading your book me suzy p and I really enjoyed it!!! But while I was reading it the whole time through I thought it would make a great film or tv programme! Have you ever consider it? I am seeing you tomorrow at the bath festival with my cousin and brother. OMG IVE READ UR FIRST BOOK ALL AND FINISHED IT YESTARDAY!!!!!! i loved it INFACT I ONLY TOOK 2 DAYS TO READ IT!! AND IM WONDERING IF MILLIES PARENTS are getting devorced ? i wish i could meet u.
I also think Millie is sad because her mum and dad are getting devorced. It is really exciting to see your name in a book, isn’t it? I LOVE the book and recommended it to a couple of my friends. They are VERY exciting about reading it. Fantastic, Fleur, thank you SO much for your feedback and recommending it to your friends. I hope they enjoy it too! ARE YOU EVER GOING TO WRITE A BOOK FOUR I CANT WAIT ANY LONGER!!!!!!!! Hi Danie, I’m really sorry, there is no book four planned, but I’m really glad you enjoyed all the others so much! I LOVE SUZY P! Oh, and I think you should write more books for teens. You obviously have talent, so you should use it. Sorry for the late replay but THANK YOU!